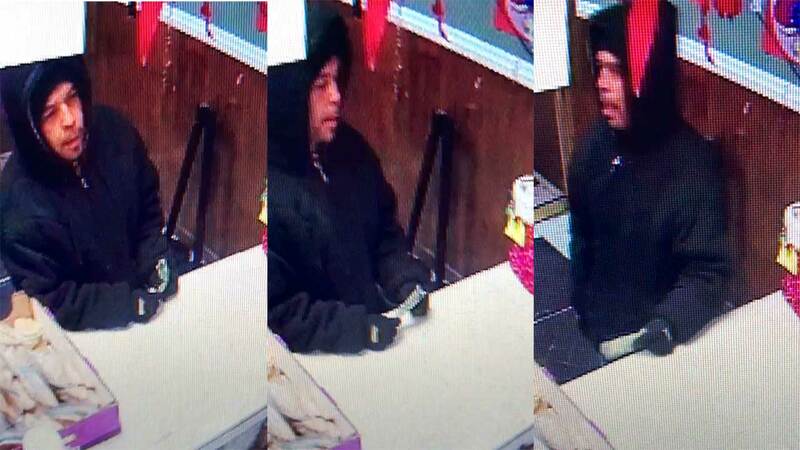 CHICAGO (WLS) -- Chicago police have released surveillance images of an armed suspect who robbed a Gage Park Restaurant last Monday. Investigators said the suspect ordered food then held up the restaurant in the 5300-block of South Kedzie Avenue at about 8:40 p.m. The suspect is approximately 30-40 years old, 5'4" to 5'7" and wearing a black beanie hat, black hoodie and blue jeans. Anyone with information is asked to contact Area Central detectives at (312) 747-8227.